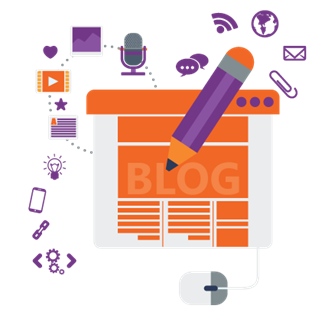 Cross the threshold from good to great blogging with these proven tips for improving your blog traffic and increasing followers. Get to the point—set post-length parameters. Keeping it short improves readability and keeps the reader’s attention. 300-1500 maximum word count is a good goal. The headline is possibly THE most important aspect of a blog post. Headlines are critical to search engine algorithms (learn about search engine algorithms and formatting headlines here). Pay attention to search engine algorithms. Increase your post’s value by creating meta-descriptions, maximizing tagging, using keywords, and including in-text links. Learn the ins and outs of SEO optimization here. Successful blogging doesn’t happen overnight. If you’re feeling overwhelmed, take it one step at a time; the key is to just take that first step.